system development and data storage/management solutions for our clients. Providing analytical tools for marker data extraction. 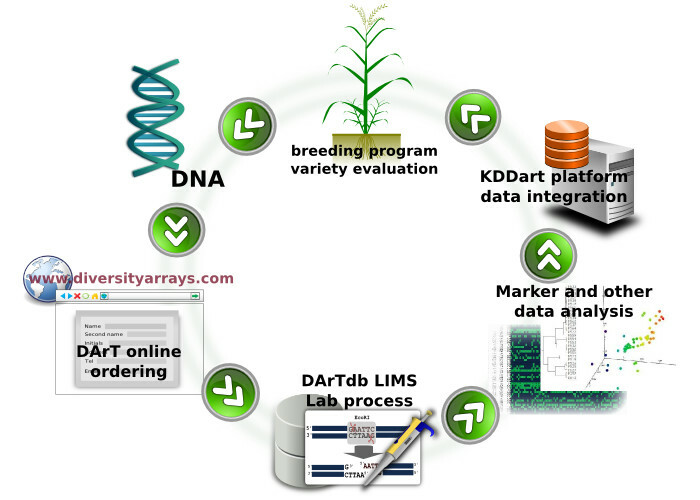 KDDart our primary development project which aims to create a comprehensive data storage and integration platform. The KDDart platform is in the early stages of implementation in collaboration with our partners. The diagram below represents the general workflow of our system and integration between the genome profiling operations and data integration platform.